Slosh removes salt, chlorine, odors & organic residue while special disinfectant & conditioning agents preserve & extend your equipments life. 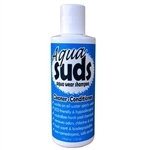 Use on wet & dry suits, scuba equipment, swim & water ski wear, hiking & marine wear, snow ski wear & more. SloshLFC is the perfect cleaning solution for products such as BC bladders & hoses, drinking bladders & hoses, water bottles & more. 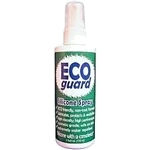 ECOguard Concentrate is an evironmentally safe product made with cosmetic grade, pure silicone. This skin safe, non-toxic formula provides maximum lubrication, protection & revitalization with minimum impact on the environment. Ideal for wetsuit lubrication, EcoGuard is an environmentally safe product made with cosmetic grade, pure silicone. This skin safe, non-toxic formula provides maximum lubrication, protection & revitalization with minimum impact on the environment. 4oz easy to carry spray bottle. Our ultimate wetsuit kit includes 5 essentials to maintain your wetsuit in top performing condition.